Structural engineering involves analysis and design of structures that can withstand any operating and environmental loading conditions. Structural engineers work closely with other professionals in the construction industry. They engage in every phase of the project; from the onset to its completion. To be a great structural engineer, one must have these five qualities. Structural engineers use their skills and knowledge to design structures that are strong and flexible to withstand pressures. Their input ensures that structures do not bend or collapse and put people at risk. Creativity is a key quality in creating structures that are safe, functional and cost-effective. A structural engineer works alongside a team of other construction professionals such as architects, civil engineers and other discipline engineers. These professional must work together and have cordial relations from the beginning of the project to the end. A great engineer should be able to blend in the team to ensure that the project is successful and completed in time. There are various conditions that an engineer might come across in the course of any given project. Some these conditions unfavorable site conditions, constraints from existing structures and unique design conditions. In some cases, structural engineers are called upon to make sure that old buildings can withstand forces that weren’t put into consideration during their construction. Qualified engineers should be able to come up with quick solutions to these problems. The slightest error in the designing or construction of a structure may cause it to collapse. An experienced structural engineer should pay attention to details. 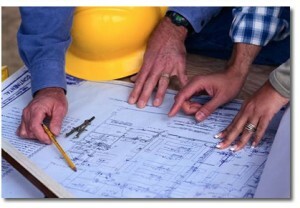 Key considerations should be observed especially in designing the framework of a structure. Designing structure models using computer software. Supervising projects and updating clients on the progress. Recommending the best materials to be used. These tasks require an engineer to be knowledgeable not only in engineering but in other field. A structural engineer should remain up to date on the new technology and research. In conclusion, with these qualities and the right educational qualification, there is no doubt that structural engineers will exploit their talents and endeavor in their career. In addition, experience gained in the initial stages of the profession will also lead to growth in the profession. Do you need to speak with an experienced structural engineer regarding a project? Contact our team at Structural Innovations today – we’re ready to help!